Are you running a small organisation or working on small projects? Then, get customised 1U to 5U rack server colocation services in India by starting with single servers from here at cheap prices with provided 15 days risk free trial, free server hardware and software support, any time resource scalability options, limitless resource usage options, 1U, 2U and 5U rack colocation services provided across any location in India, 100% uptime and 24/7 expert support. It may be any model of rack server either 1U or 2U or 3U or 4U or 5U, we provide rack wise server colocation hosting services on demand by customizing the collocated server as per user requirements and particular project based configurations. 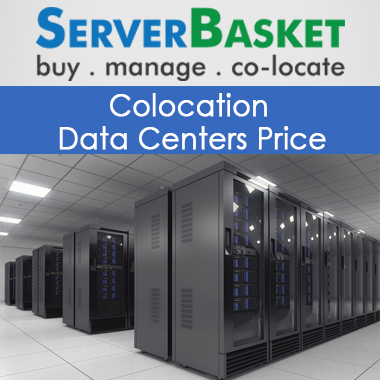 For a lower price than installing as well as maintaining a server based network at your own location, at ServerBasket you can colocate your servers without feeling worried and save a bundle! We promise that you will never come across rack server colocation services at such low prices from the colocation service providers in India. Starting with single server, you can upgrade and increase from 1U rack up to 5U rack space without paying any extra amounts for the resource scalability options whenever required by contacting either our technical support or sales team. It may be any location our colocation services can access with high speed routing, world class data center facilities in India locations i.e., Bangalore, Hyderabad, Chennai, Mumbai, Kolkata, Pune, Chandigarh, Delhi etc., we serve the customers with server colocation hosting facilities. 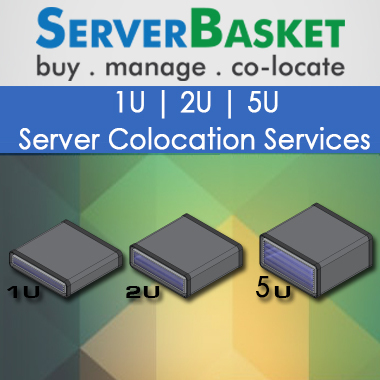 User can even choose their comfortable location for acquiring the managed colocation services in India. We collocate the clients rack servers in certified tier 4 data centers that provide 100% collocated server uptime, equipped with 2N+1 redundant infrastructure, downtime occurrence less than 24 minutes in the entire year and 96 hours protection against power outage. Hardware replacement for customer’s equipment is available in case of any kind of damages or failures! We replace the server and server accessories for free without charging any extra prices in the gap until you afford a new device or newer accessories. No restrictions in case of resources i.e., bandwidth, operating system, disk space, dedicated IPs since there are unlimited resources available with our server colocation services. We charge only for whatever the resources used while running the applications and calculate the final bill for your server colocation hosting.